Everyone could use a little help around the holidays. That’s why starting December 3 we’re offering more than three weeks of daily deals on products to help simplify your holiday season. From scrumptious holiday treats to designer clothing to the latest in smartphone technology, each day we will feature a great product at an even better price. Check back here daily from now until December 23, and follow us on Facebook, Twitter, and Instagram for the latest Daily Deal, then stock up and make your holidays that much easier. Bonus $20 London Drugs Gift Card with a purchase of a $100 London Drugs Gift Card. While quantities last. Limit of five (5) $100 gift cards per transactions. Cannot be combined with any other offer. Offer valid in store or at londondrugs.com for in store pick up. It may be cold around these parts, but it’s sunny and warm somewhere. Just imagine the warm breeze blowing through your hair as you glide through the sun-kissed water on your Zray Sports X2 Inflatable Stand Up Paddle Board. Today we have an amazing deal on this summer water sports staple. At just 379.99, this can’t be passed up. Happy holidays (and vacation) to you! Buying for the kid who has everything? Here’s something to delight them: the Cobra 3.5 Channel Remote Control Helicopter. At just $19.99, you’re saving $20 off our everyday low price, so it will delight you too, and it’ll provide hours of amusement for the kids (or adults!) in your life. We’re making it easier to give them what they really want this Christmas: a new iPhone. Today you can get the Telus iPhone 8 (64GB) for $0 on a Telus two-year Premium Plus Plan. To sweeten the deal, we’re also throwing in a bonus $200 London Drugs Gift Card on new activations. Do you have a style maven on your holiday shopping list? A trendy friend or sister-in-law who always looks sleek and put together? 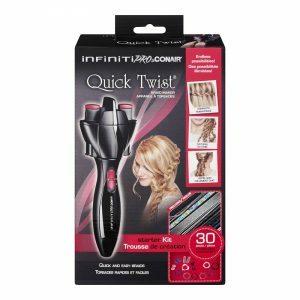 The Infiniti Pro range of hair styling tools by Conair is what every fashionista needs. And you’ll save 30% off our everyday low prices, so it’s a win-win! The holidays can be an exhausting time with shopping, prepping, and decorating adding to already long to-do lists. Need a little pick-me-up? Treat yourself to a box of Lindt’s Excellence Chocolate Assortment (515g) and at just $12.99 (our everyday low price is $22.99), this really is a treat. Go on, you deserve it! Do you have a techie on your holiday shopping list this year? Shopping for someone who is attached to their device at all times? One thing all on-the-go techies need is a portable power pack. The Jackery Titan S 20 100 mAh Portable Battery is a great tool for keeping them plugged in no matter how far they stray from an outlet. At $39.99 you’re saving $60 off our everyday low price. If you’re keeping the tradition of giving annual holiday cards, then this is the deal for you. We’re offering 60% off our already low everyday price for American Greetings Boxed Christmas Cards. With hundreds of beautiful designs to choose from, there’s a card for everyone who is special to you. Due for a phone upgrade or have someone on your gift list who needs a phone? Then you’re going to like this deal. We have the Koodo iPhone 7 (32GB) for $0 on a Koodo Tab M and we’re throwing in a bonus $150 London Drugs Gift Card on all new activations! Start the car! If you’re hosting the festive get-together this year, you’re going to need some help in the kitchen. We have just the tool: the Hamilton Beach MultiBlend Blender will have you whipping up sauces and pâtés in no time, and at $24.99 (50% off our every day low price! ), this is quite frankly, a steal. Grab one while they’re in stock. Bonus: If you’re an LDExtras member, any Hamilton Beach purchase until December 24 will get you automatically entered for a chance to win a 2019 Toyota Prius C! Gents, here’s your chance to spiff up your daily wear this holiday season without blowing your budget. You’ll be sure to make an entrance with one of our Calvin Klein T-shirts in assorted styles and colours. At 60% off the ticketed price, these stylish shirts will have you looking your best without breaking the budget. Available in select stores only. The festive season means parties, lots of parties. No need to hit the hair salon before every gathering if you’ve got the right tools on hand! We’re taking 30% off Revlon Hair Tools — from dryers to curling irons, flat irons, and hot rollers, we have everything you’ll need to get your crowning glory looking absolutely fabulous for all your holiday soirées. It wouldn’t be the holidays without a whole lot of chocolates, whether they’re left in a stocking by Old Saint Nick or offered to guests during holiday parties. We have an amazing price on Pot of Gold Chocolates (206g-247g) and Lindt Swiss Classic Bars (300g). Just $10 for 2 or $5.49 each. That’s a deal even Santa couldn’t pass up! No holiday party is complete without a bowl of mixed nuts. At just $15.99 for almost a kilogram of mixed nuts or LD Gold Cashews, you can keep your bowl brimming all season long. 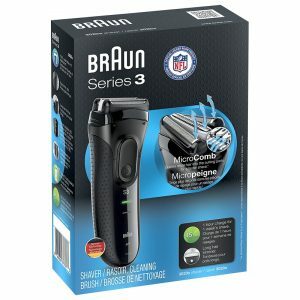 You’ll want to look your best at all those festive get togethers this holiday season, so we’re kicking things off with 40% off our everyday low prices on Select Braun Men’s and Ladies’ Shavers. From traditional razors to wet/dry razors and even mobile men’s shavers, we have it all in store and online. For all things holidays, visit any of our London Drugs locations or check us out online and peruse our everyday low prices for everything you’ll need this festive season.